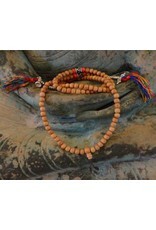 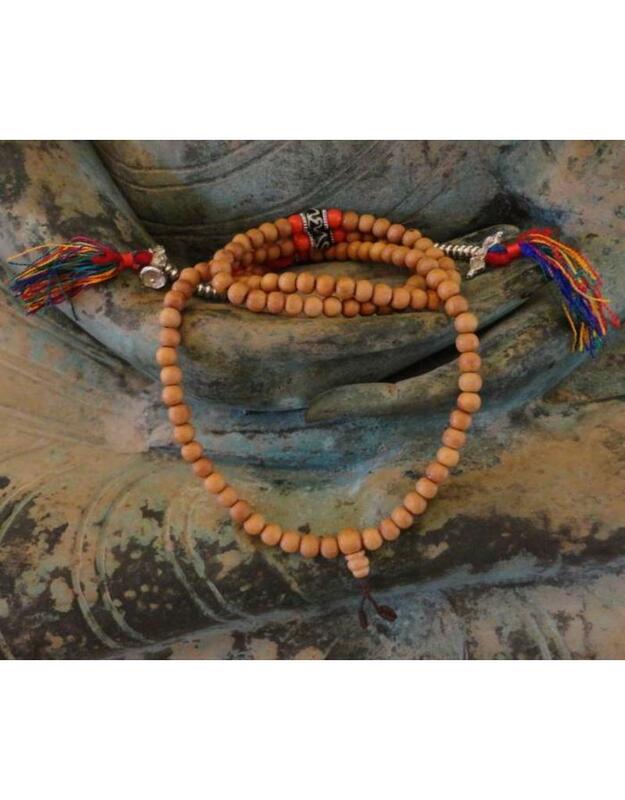 Beautiful handmade mala of light rosewood with Ohm beads. 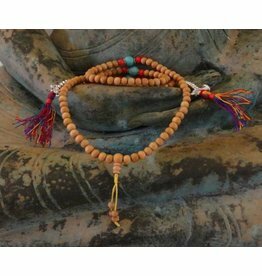 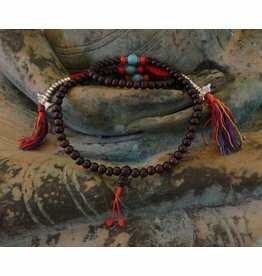 The mala is flanked by two counters with a coloured tassel. 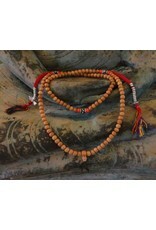 The markers consist of 10 metal rings that you can move on to the cord when you have recited a mantra. 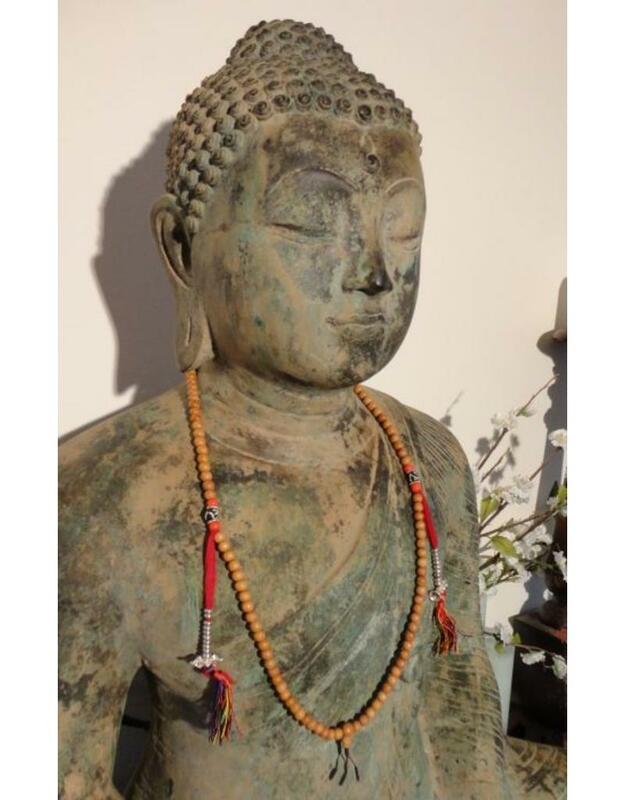 One counter has a dorje and the other a bell attached. 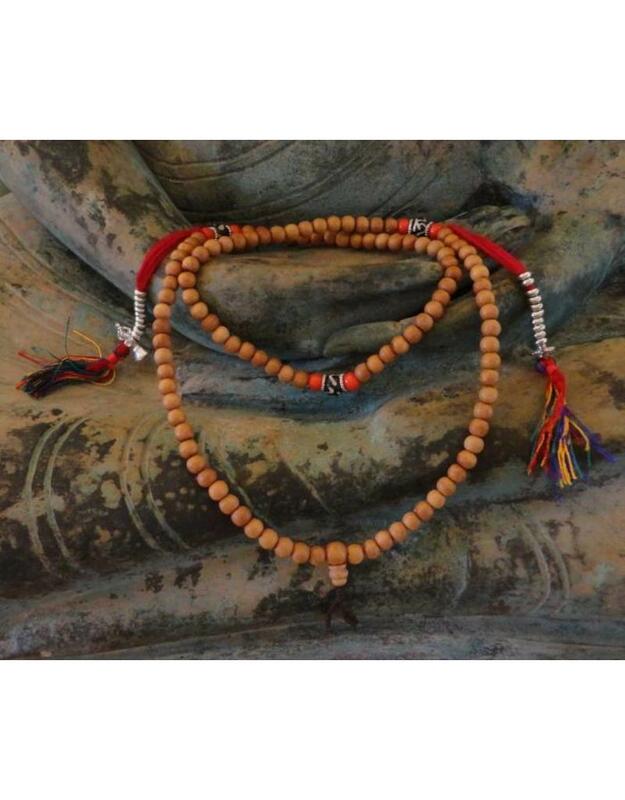 The wooden and red beads are 8 mm and the Ohm beads are 10 mm thick. 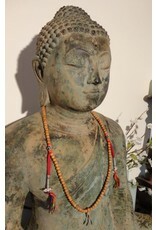 The length of the mala is about 45 cm and comes with a beautiful brocade mala bag.